Home builders and developers in the city’s Applicant Supported and Assisted Process pilot program have completed permits to build a single-family home within 4.6 weeks, on average, of applying. The city says the usual wait time is about 25 weeks. A pilot program to cut down the time to process building permits for single-family homes has yielded promising results, the City of Vancouver says. Builders and developers in the city's Applicant Supported and Assisted Process (ASAP) pilot program have completed permits to build a single-family home within 4.6 weeks, on average, of applying. That's according to Kaye Krishna, the city's general manager of development, building and licensing, who said the average wait time for applications outside the program is about 25 weeks. "Everything that we're doing, we're trying to increase the supply of housing for all Vancouverites," Krishna said. "Faster permitting is the way to help enable that." The ASAP pilot program invited experienced home builders and developers to enter a streamlined permit process. The goal was to have permits issued within 10 weeks. Krishna said the program has been so successful so far that city staff may begin applying its lessons to mainstream permit applications before the one-year pilot officially ends. Larry Clay, president of Clay Construction, is pleased with the program so far. He said he is used to waiting eight to 12 months for permits but has put three projects through ASAP in about 12 weeks each. "It's affordability for homeowners, and secondly it's really difficult to run a small business when you are waiting so long," Clay said. "I know builders and designers who have said, 'we are not going to work in the City of Vancouver any more.' We are trying to … fix this problem." He said the results from ASAP have been "a huge improvement" and he's hopeful it can be scaled up and involve more developers. Krishna explained that ASAP has worked for a few reasons. Applicants were put through a training program to refresh them on what makes a successful application for construction or rezoning. That improved the quality of applications and required less back-and-forth between developers and the city. ASAP also assembled all necessary inspectors and reviewers who were ready to sign off on applications. An improved communications system between city and applicant was used and both parties kept to a regimented schedule. Krishna said 17 projects, mostly single-family homes with a laneway and secondary suite, have been entered into the process so far. She's confident 30 will have been completed by June. But will cutting permit times for single-family homes really help with affordability? Brendon Ogmundson, deputy chief economist of the B.C. Real Estate Association, said what's really needed is a better focus on multi-family projects like condos. "That's been a real problem because it's really important to match supply and demand as quickly as possible," Ogmundson said. "Having supply take so long to get to market is really putting a lot of pressure on the existing housing stock." 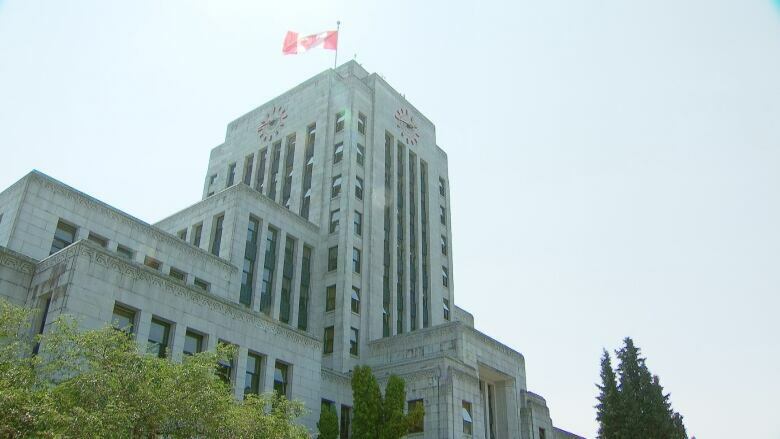 He said the time to apply for a multi-unit project has increased to, at times, two or three years in Vancouver and he blames those delays for at least part of the rapid increase in condo prices. Krishna said the city is working on cutting those permitting times as well through different programs, including one aimed at affordable housing.